For over seven years we have been the key design partner for the Harris Federation, helping to develop and strengthen their position as leaders in education as they have grown and evolved. 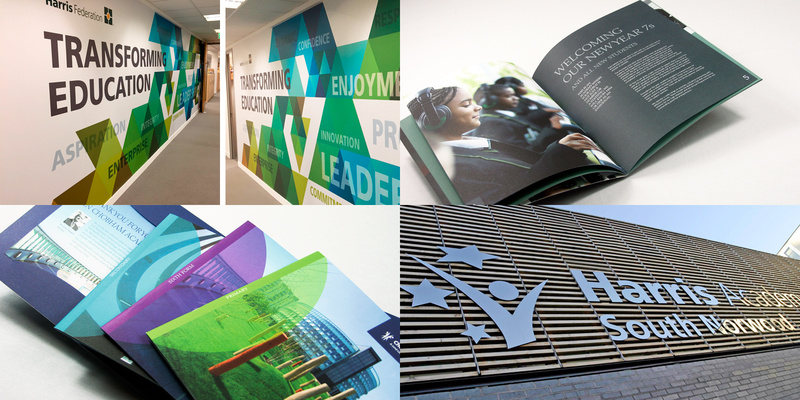 From logo development, student engagement sessions and uniform design to responsive websites, signage and prospectuses, we act as brand guardians to ensure consistently high standards and brand integrity are always achieved. As a large, multi-academy organisation a key element to the brand has been to ensure a consistent and professional image for the Federation itself while at the same time allowing the unique personality of each academy to show through in online and print materials. 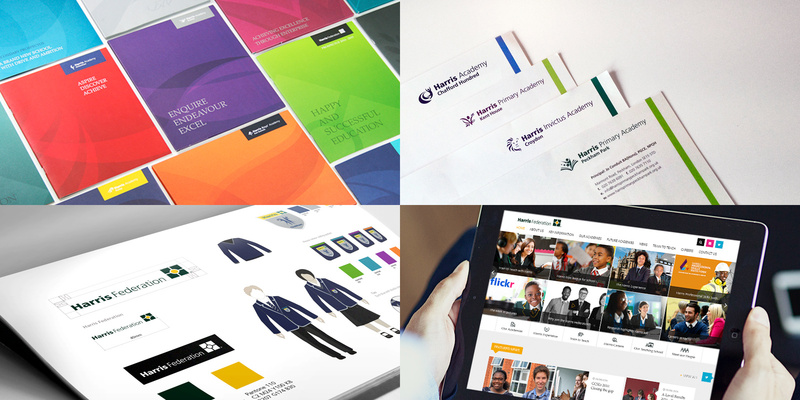 The quality of the branding and marketing material Cleverbox have produced has without doubt helped the Harris Academies enjoy overwhelming applications which have added to their success.